Momilani - one good mom! Took herd density 5 to 8 gross clip avg! 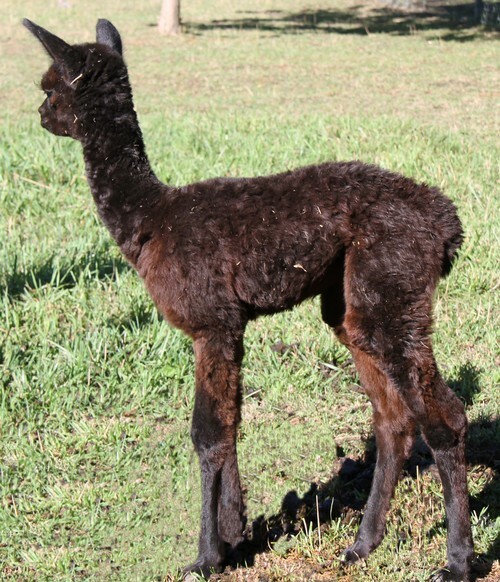 Mondavi's sire, Patagonia's Neruda a Shackleton son, carries not only the black genetics we sought but unique phenotypic qualities seen in few Alpacas. Mondavi's dam, Patagonia's Chic brought Caballero Andante with strong black genetics. 2009 Raven Night.... ..AFD=21.86...SD=4.82 TB @ 19 months. 2010 Matahota..........AFD=20.3,...SD=4.5 DB @ 23 months. 2010 Iohitika............AFD=23.4.....SD=4.5 TB @ 60 months. 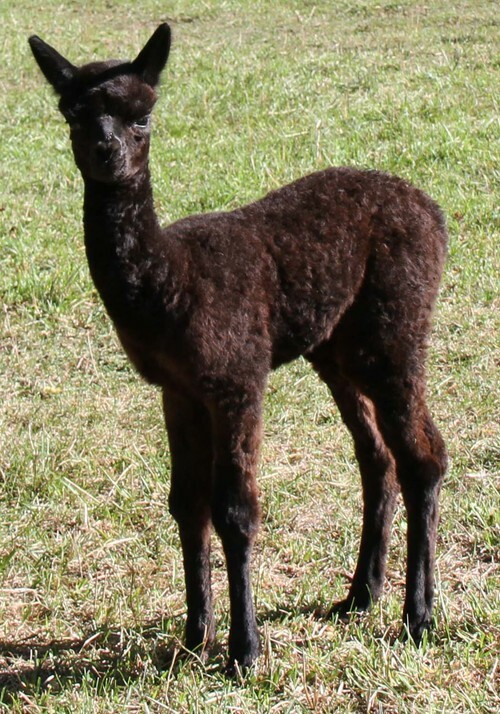 Cindy Negen of Monaco Pines Alpaca Ranch stated, "Momilani is a very solid dark female with excellent bone structure, compact head, silky fleece, and long staple length. 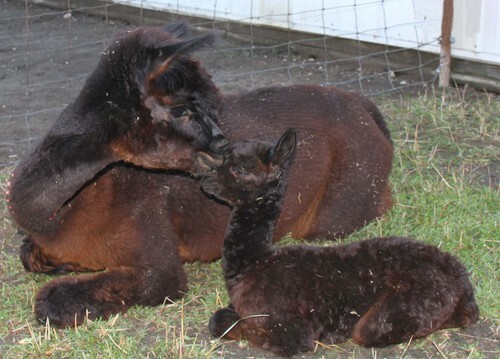 Her Dam line has both black and silver with a little full peruvian thrown in. Her sire line is a full brother to Snowmass Nova. 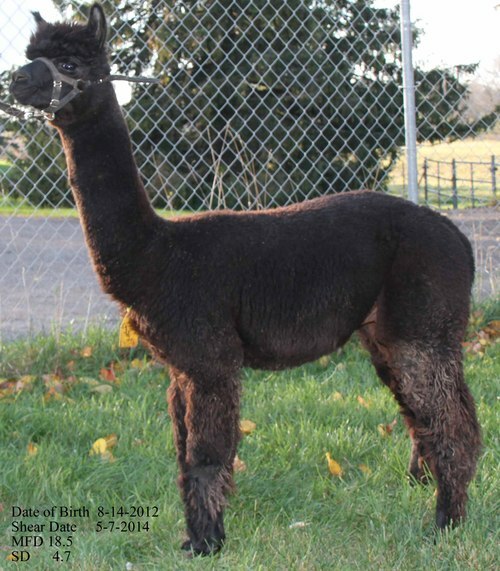 Her Dam, LRA Kiara, line has both black and silver with a little full peruvian thrown in." Ask for Price Soft and uniform. Ask for Fee Pedigree & conformation! Talk about your sleeper! Iglaspa under 3 month had one thing going for him - a bright reflective fleece. WOW has that changed since! He is developing a well conformed pleasing frame on stilts for legs, good uniform fleece coverage and a lot of it. Add to this some nice tightly crimped fiber and we see this as an application for a job on our farm. Let's see if this just keeps getting better, but his name certainly fits. TO provide us a better objective insight into the qualities we see in Iglaspa we purchased a Grid Sample Test from Ian Watt. The results follow. MAMGB Kitan Sapa his first offspring, has very bright fiber, soft hand, and a bunch of it. One good start! 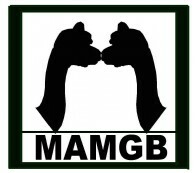 Contact us now to evaluate how your herd might be enhanced (262) 970 - 9633..
Sire: MAMGB Iglaspa [Ig-Las'-pah] "Bustin' Out"
Dam: Irene's Dream "Peace Dream"